Indemnification clauses are essential components of a construction project contract. They help to manage liability and mitigate risks. In this article, we will discuss what indemnification clauses are, how they work, and issues to look out for. First Thing’s First: What Does It Mean to “Indemnify”? Who Are the Parties to an Indemnification Clause? Before getting too into indemnification clauses, we should very quickly touch on exactly what it means to “indemnify.” Essentially, to “indemnify” means to secure against harm or damage. So, if you’re indemnifying someone, you’re securing them from harm or damage. An indemnification clause basically transfers risk from one party to another. 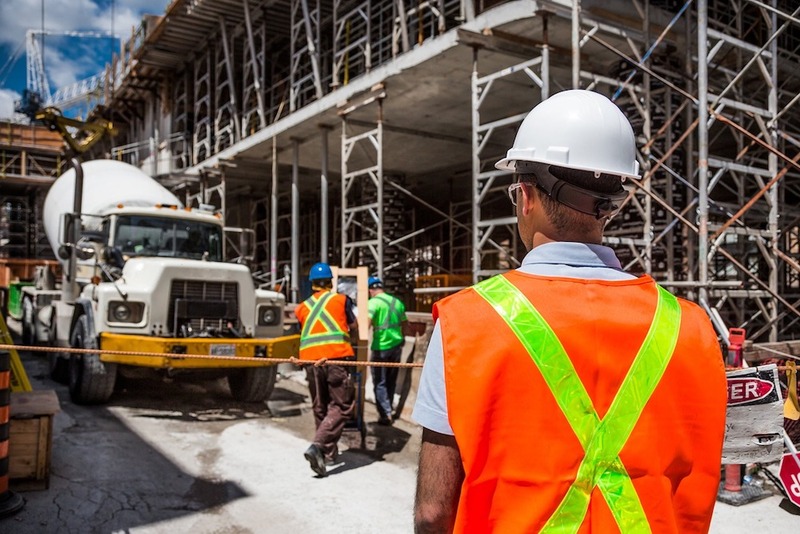 These provisions require one party to assume responsibility for third party claims made against the other party, and they’re very commonly used in construction contracts. In fact, indemnification clauses are a major player in the ever-waging war over managing risk. They usually stem from the prime contract between the project/property owner and the general contractor, requiring the GC to indemnify the property owner from any harm or damages that may occur during the duration of the construction project. And in turn, the original indemnification clause between the property owner and the GC will typically “flow down” the payment chain on the project, requiring each of the subcontractors to indemnify the not only the GC but the owner as well. As we’ll discuss in the article below, this type of risk-shifting runs rampant in construction, and it can take many forms. (3) the claimant (who makes a claim…that one’s easy). A laborer (claimant) is on a job site, and they slip and fall. The laborer then sues the owner of the building (the indemnitee) for his injuries. If the owner has an indemnity clause with his GC, the GC (the indemnitor) will reimburse the owner for any amounts the owner had to pay to the claimant. In the most general sense, there are three basic forms of indemnity clauses. The biggest difference maker between these types is how they deal with negligence. As the name suggests, this is the broadest form of protection for the indemnitee. It requires that the indemnitor save and hold harmless the indemnitee from all liabilities. This includes negligence by ANY party. This means that the indemnitee will even be indemnified for liabilities that are a result of their own negligence (or contributory negligence). This is an agreement that the indemnitor will indemnify the indemnitee but does not expressly provide for the indemnitee’s own negligence. These usually contain language along the lines of “indemnify against loss caused in whole, or in part by the negligence of the indemnitor.” So even when the indemnitee is partially, but not completely at fault, the indemnitor is still liable. The limited form is the most commonly used and accepted form of indemnity clauses. These provide that the indemnitor will indemnify the indemnitee for liabilities caused solely by the indemnitor’s negligence. Therefore, the indemnitee will be responsible for any negligence (active or passive) that they cause, while the indemnitor will be responsible for their own (and only their own) negligence. The biggest issue with indemnity clauses is their enforceability. There are two crucial factors to consider when trying to determine the enforceability of an indemnification clause: clarity and public policy. Courts have frequently held that in order for an indemnity clause to be enforceable, it must be written clearly, specifically, and unambiguously. Since most states disfavor overreaching indemnity clauses, the courts will strictly enforce them according to the contract language. So if the clause is ambiguous, unclear, or conflicts with other terms of the contract – it may be declared unenforceable. Individual state laws regarding indemnification clauses differ, so you should confirm the rules in your state. As evidence of this last point, a number of states have enacted their own “anti-indemnity” statutes that render many types of clauses unenforceable on public policy grounds. These statutes can range from the outright prohibition of broad and intermediate forms (‘A’ and ‘B’ above) to permitting broad forms only if when there is a clearly stated monetary cap on the indemnification obligation. The rationale behind this is that if a GC is allowed to shift most of the financial burden of liability away from themselves and onto other parties, then there is little incentive for the GC to avoid risk in their own work. Minimizing risk and allocating liability is critical to the functioning of a construction project. That makes indemnity clauses one of the more important parts of your contract. Be sure you have an understanding of the different forms of liability and the statutory restrictions placed on them in your jurisdiction. You don’t want to be left paying someone else’s tab! What is an Indemnification Clause in a construction contract? Learn about the 3 types of indemnification clauses, how they work, and who they affect.